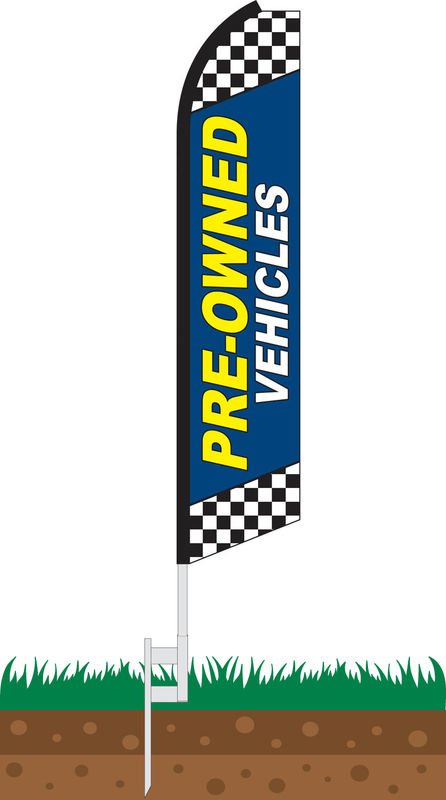 If you operate a car dealership and need something to advertise your used vehicles, consider investing in our Pre-Owned Vehicles Blue Swooper Feather Flag. Perhaps you operate a new car dealership; Customers may not be aware that you carry used vehicles. 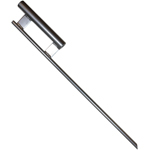 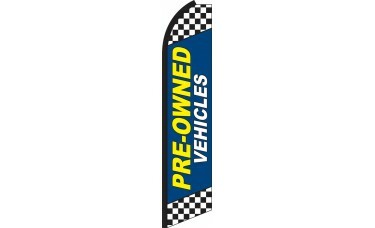 This feather flag features a black and white checkered background at the top part and lower part of the flag and in the middle is a blue background with "Pre-Owned" written vertically in large yellow letters and "Vehicles" written in white letters.